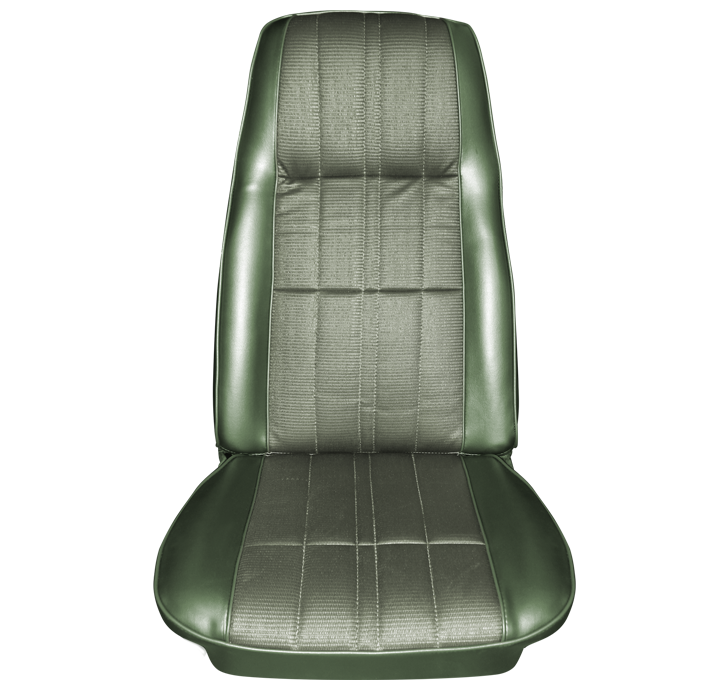 Distinctive Industries 1971-73 Mustang Deluxe/Grande Upholstery features the original Corinthian grain skirts with Comfortweave inserts in 32 oz. vinyl. Our welting is solid for black and vinyl wrapped for all other colors to ensure an exact color match. The dielectric patterns and pleats are just like the originals with the correct spacing and design. *Grande originally came with a cloth insert in the seat-bottom that is not available at this time. *Grande is a Hard Top only model. Offered in Black L-3722, Blue L-3788, Ginger L-4061, Green L-4234, Vermillion L-4063 and White L-4062.